One of the biggest changes to the core rules! This not only kills numerous builds that we have seen in the European meta (7+ Dark Talons, 7+ Hive Tyrants etc) but provides a new mechanic to list building. Rather than spamming 6 strong MSU unit options from a codex, you have to consider your options. Does this balance the spam? Most definitely NOT! The GW design team have not taken into considerations numerous options that can still be spammed (Razorbacks) but also, because the way they have worded the ruling, units like Hellhounds can still be spammed (well, up to 9). Now I am not specifically aiming at Hellhounds (because who takes 9 Hellhounds…..right….RIGHT?) but it’s simply poorly written. The idea is to reduce spam, but some armies are unaffected. Dark Reapers can just be put into larger units rather than spamming units of 3, Custodes Bikers can be merged into 3 squads rather than 4-5, You can still take 3 Shield Captains in a Supreme detachment. My point is, this stretches the Goal Posts rather than limiting them. GW have hurt some builds, but simply created others. We may see the rise of dedicated transport spam (wave serpents are still a fantastic unit option). We will see but although this is a great start, GW have a lot more work to do before they fully balance the game with this change. I think the majority of UK tournaments will be implementing this rule and hope to see it elsewhere. This is interesting. On paper, I was not really bothered by this as it doesn’t affect me that much, but on deeper thought, I actually really like this change. As a long time Tau gunline player, I always worried about the turn 1 alpha strike, especially when the enemy can deep strike then move for a guaranteed charge (more on this later). Now I can comfortably deploy without the worry of a turn 1 charge (still possible with some units) but I can counter react with my army after turn 1. This is big for a lot of players who, simply put, are poor with their deployment choices. This does not necessarily effect top tier players too much, but affects others greatly. Not only this, but it means you don’t have to buy a solid line of scouting/infiltrating units to avoid an alpha strike (albeit Ravenguard etc). This gives you more tactical options turn one which I like. Fantastic! Love this rule. It makes perfect sense, the ability to gain a guaranteed charge was ridiculous. GW introduced the new deep strike with no scatter but with the 9 inch bubble. The reason for that was a simple balance. Now you don’t mishap or scatter backwards, but with some powers, that negated the ability completely which to me was very frustrating to counter play. Tzaangors and shining spears auto charging was very frustrating to play against so this is a great change by GW. A nice little boost to GKs, well deserved. Also a good written rule on the D6 smite. All common sense to me but a subtle but effective change. GKs need every little boost they can get, although not being able to spam Purgators may hurt, I think Strike Marines are still a fantastic option. Interesting change. Do I like it? Hell yeah! Does it kill soups? Not necessarily. 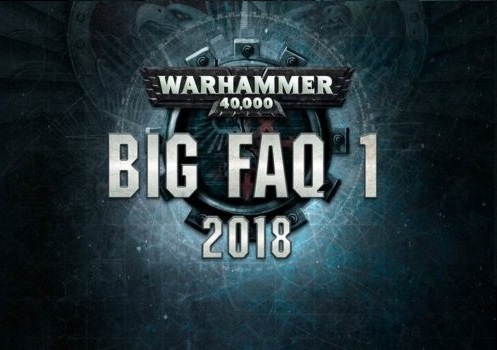 As we see with certain Imperium Builds (Mike Brandt’s Guard/BA/Custodes as an example) you can still create a strong Imperium combo because the Imperium keyword has such a large amount of options available to them. I was hoping to see an ability whereby only the warlords detachment can use stratagems as this would prevent multiple combos and Guard providing the CPs however this won’t be the case. I think soups of certain variety will still see play! I am shocked there is no limit to 1 HQ per detachment aka the Commander nerf, as you can still spam 3 characters (shield Captains) in a Supreme detachment unlocking all the stratagems which to me is an oversight. Perhaps a “Must take a battalion to unlock stratagems” rule could be enforced in the future? What are peoples thoughts? That is my initial look into the big changes. What are the changes that stands out to you guys the most? Leave a comment and lets discuss!